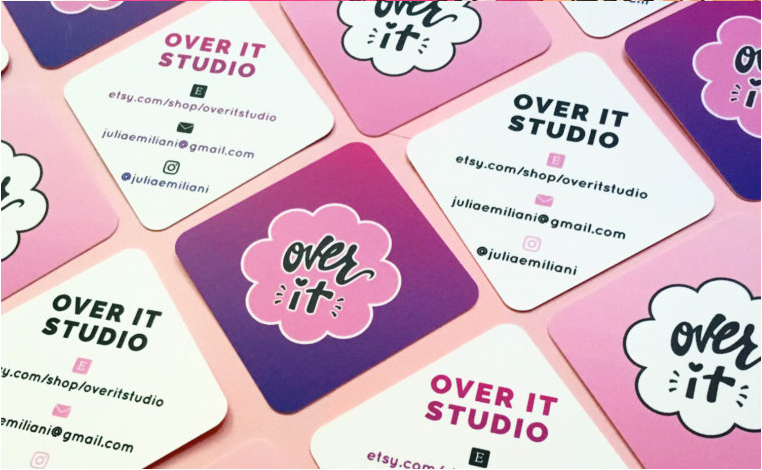 It’s nearly impossible to categorize Senior Graphic Designer Julia Emiliani. She runs her own Etsy shop. Do you? Her artwork appears in stores across the country. Do you even art, bro? She has her own supply chain of wholesalers and manufacturers. Big words. Oh, and, she happens to work at Brafton. So how did Julia end up here? Born in Florida, growing up in Connecticut and honing her design skills in Boston, she was already well on her way to big things. 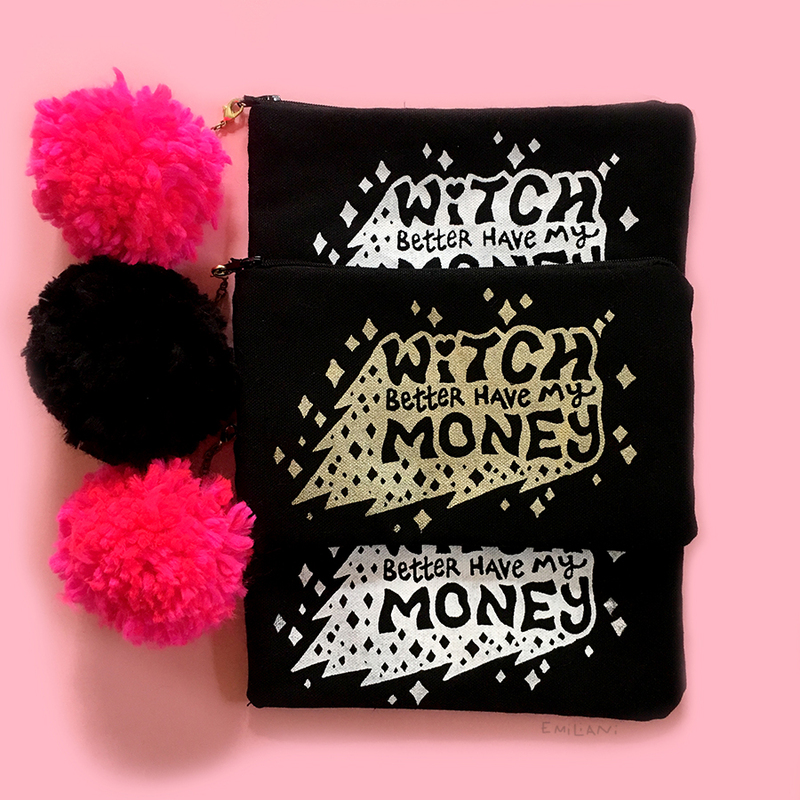 After graduating from Massachusetts College of Art and Design, she launched her professional career with multiple creative ventures. For one, she exhibits drawings, paintings and custom silkscreens at local events, supporting the regional art community and networking with other vendors. 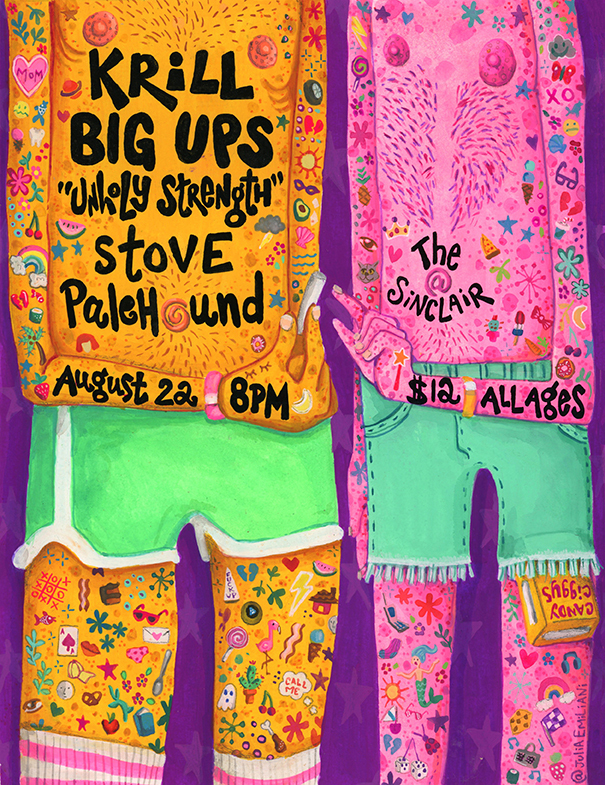 She also expanded upon her illustration skills by moving more toward the graphic design/UX world upon entering the Braftiverse in 2015. 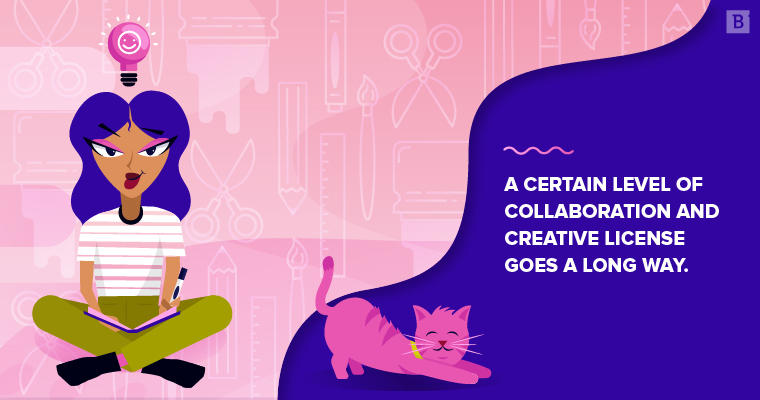 Though not all digital assets in the commercial world lend themselves to heavy illustration work, the ones that do, like large eBooks and infographics, allow creatives like Julia to take the lead on concepting. And when Julia calls the shots, clients find success. A certain level of collaboration and creative license goes a long way. Art is inherently ambitious, yet too many companies view themselves with a near-morbid mentality of being boring or uninspiring. This self-defeating mindset comes across in branding, which sets the tone for how businesses interact with the public. Bad branding = bad user experience. If Julia had it her way, clients would be much more open and free of their perceived deficiencies. They basically need to put on their best face each morning and smile like they mean it – and you can do that with effective branding that incorporates illustrations into their identity. 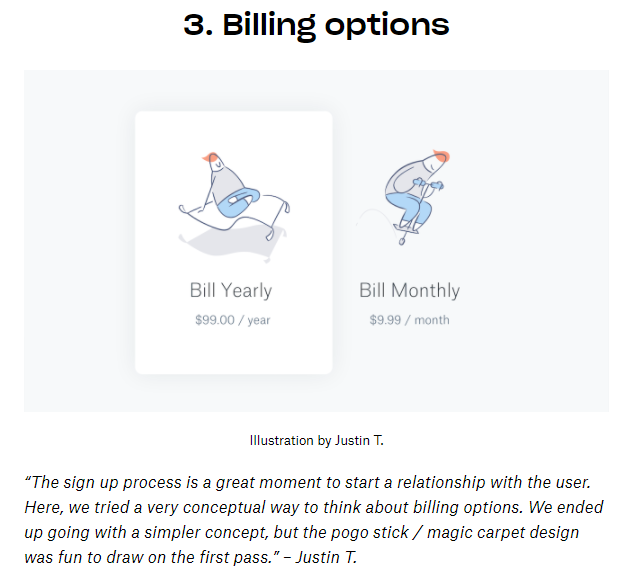 Justin Tran, the creator of this design, and one of Julia’s favorite illustrators, managed to turn billing cycles into artwork – and there’s nothing more corporate than billing! The fashion and retail industries tend to do a great job at using their websites and social platforms as communication vehicles. 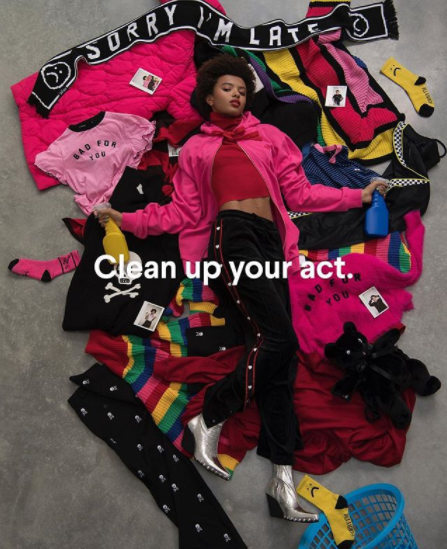 “I really like how Lazy Oafs showcases their fashion designs through oversized photos and use new and innovative UX design ideas like having large bold type and images overlap with text,” Julia said. Lazy Oafs speaks its own language with every image, animated icon and bit of copy it has on its site, and it adds a dimension of personality and charm that you don’t see every day. For companies wanting a UX design overhaul, a great place to start is ditching all the stock images and allowing margins to serve a purpose. While brands try to stay on top of the latest trends, Julia’s not losing any sleep over it. 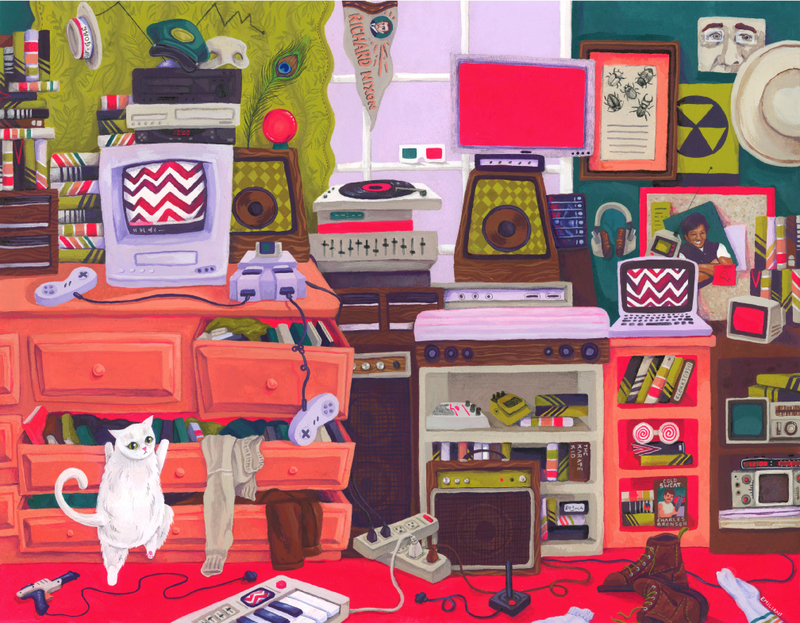 In addition to becoming an expert at Adobe InDesign, Illustrator and After Effects, she wants to pursue large-scale still-life painting, sewing her own pillows, making her own clothes and finally decorating her apartment with her creations alone.